Fires can be devastating to your home or business. Most people can give up easily on seeing their home or business is damaged by smoke and fire. 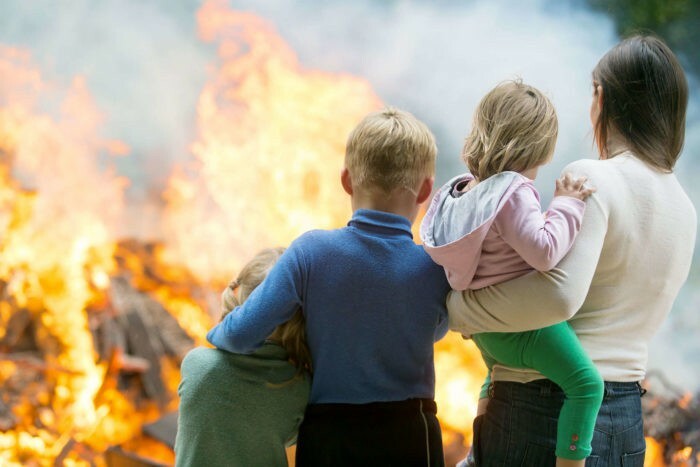 They may think that the damage is limited to the visually confirmed damage, but the truth is that the surrounding areas, contents, ventilation systems, and surfaces are all affected by smoke, water from the extinguishment of the fire and the residual odor that if not treated correctly will never leave your home, business, and belongings. After the fire extinguishing, there is a long road of recovery ahead – one that needs to start immediately. The St. Pete Water Restoration Company services include; emergency board-up and site containment services, demolition, and soot removal film application, thermal deodorization to mitigate smoke damage and complete reconstruction. A vast number of services combined provide fire damage restoration. Meanwhile, be sure to go through your home insurance company when hiring a fire damage restoration service, or do thorough backgrounds check if you choose one on your own to make sure they are licensed and insured. Your home insurance company will explain the possible steps to follow for compensation. The insurance process can be tedious; St. Pete Water Restoration Company always assists where a need arises. Contacting emergency services; the restoration process begins when you call the Broward County Restoration Company which works 24/7. Our customer care will ask a series of questions regarding the fire damage event that will help us dispatch the nearest fire damage restoration experts with the appropriate equipment and resources. Immediate Board-Up and Roof-Tarp Service; fire damage can often compromise windows, walls, and roofs. To maintain security and to protect against further damage, our team of experts can board up missing windows and walls and place tarps on damaged roofs. Inspection and Fire Damage Assessment; our Professionals will carefully inspect and test the adjoining rooms of your property to determine the extent of the fire, smoke, and soot damage. This step is crucial to developing a plan of action. The Cleaning Process; the cleanup exercise begins by sorting out and dumping all the irreparable items. 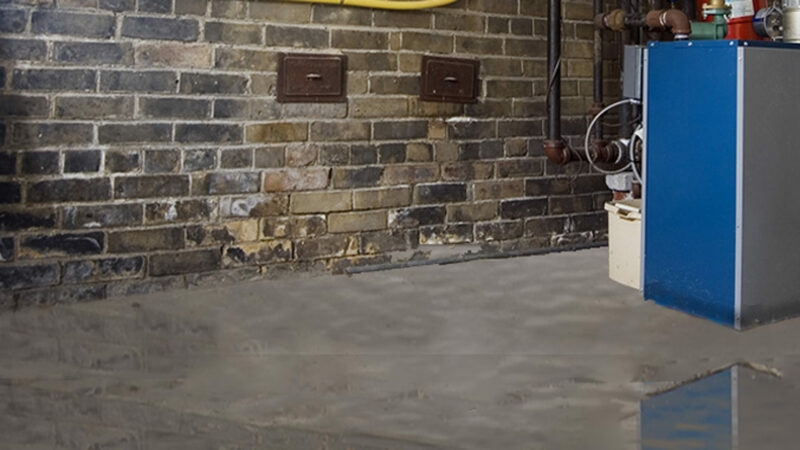 Water removal; if water damage is present or fire extinguishing was done using water, the water removal process begins almost immediately. We will then use dehumidifiers and air movers to remove the remaining water and complete the drying process. Removal of smoke and soot from All Surfaces; Professional smoke removal and restoration companies will perform a thorough cleanup using industrial-grade products, specialized equipment and techniques, such as dry cleaning soot sponges to remove loose soot a from ceilings, walls, and other surfaces and specialized vacuum filters to clean carpet and upholstery. Cleaning and sanitization; our company will wash all of the restorable items and structures that were damaged by the fire. They use a variety of cleaning techniques to restore your belongings to pre-fire condition or even better. They’re also trained to remove odors using industrial air scrubbers and fogging equipment. Repair and restoration; Restoration is the final step—getting your home or business to its pre-fire condition. Recovery may involve minor maintenance, such as replacing drywall, painting, and installing new carpet; or it may entail significant repairs such as the reconstruction of various areas or rooms in a home or business. Smoke detectors and other fire alert systems will also be put in place to help in curbing future fire outbreaks. After eliminating al fire related dangers from your office or home, you must take the necessary steps that will secure and protect your property. It is good to make sure that you don’t expose your personal belongings to further damage. A reputable fire damage restoration company will assess your property and advice you on what you need to do to avoid the re-occurrence of the problem. One of the most important things after the fore damage is ventilation. However, it is more important to have a safe and secure property. First, lockup and secure your unoccupied property so as to prevent vandalism and looting. You have an obligation to make sure that you don’t expose your building to further destruction. Contact a good company to board up any doors and windows if there is need. If there has been any interruptions on the telephone or electricity services, you need to know that your security alarms could not be working properly. Make sure you inform the police with immediate effect just in case anything has been vandalized. You will be required to have the police report for you to file an insurance claim. There are some situations where the property will only get partially damaged. If this is the case, you may decide to get in and restore it by yourself. However, make sure you understand the current state before you step into the house. You may underestimate the damage yet it is hazardous to you. Secure your property so that you protect your belongings from theft and burglary. You could also hire a fire damage restoration company to secure your broken doors, windows, and any other belongings. You need to take good care of all the hazardous areas and the restoration company will cover the areas that have been damaged like the roof and walls with plywood. This step is critical and will make sure that there is no further damages on your home. After securing your property, the next step is to salvage all the belongings that you can by transferring them to the ventilated section of the property. In case you feel that it is unsafe to handle this task on your own, it is wise to seek professional assistance. There is no need to expose your life to more risk when professional fire damage restoration companies are here at your service. A brand like our Water Restoration will give you exemplary service irrespective of the extend of damage. The company will secure the site before they embark on the real restoration process. In some cases, your home maybe so damaged that you cannot secure it against theft. It is good to move your valuable to a trustworthy location like a storage unit or friend’s house. You can be sure that your assets will be set-aside as the fire damage restoration company works on your project. You can always get something to save from the house even when the damage is too severe. Some of the valuable things that you will be required to set aside include your sentimental items like letters and photographs, jewelry, checkbooks, credit cards, money, and personal files. In case you want to protect your larger items like furniture and the other appliances, you may think about a complete or partial move out from the house. Most business or homeowner insurance companies will cover the costs of restoration whether you temporarily evacuate your property or secure it. Let your insurance agent come and review your property coverage. There is no need to meet such expensive costs yet you have an insurance cover. The restoration company will also guide you through the process of claiming for compensation from the insurance firm. A fire accident is a recipe of a great disaster on any commercial or residential property. You can survive the fire but is very hard to run away from the restoration efforts. It can be very hard to take the necessary precautionary measures to make sure that the fire does not spread to the other parts of the building when you are still in shock. However, it is good to always be prepared because these disasters can get you at any time. In case of fire damages, you can use restoration services to bring the operations in your building back to normal. The most important thing is to make sure that the property is safe for human occupation. There are some tips that can help you in handling the challenging task of restoring fire damage on your property. One of the most important thing when handling fire calamities is to remain calm. As the owner of the affected property, you need to remain organized and calm before you embark on this demanding task. The fire damage restoration project is a demanding one and requires a high level of organization. The project requires a lot of care and patience to make sure that the fire does not spread to the other parts of the home. What you can do is put off the main power supply of the home because it can make the fire to spread faster. You also need to raise an alarm so that the nearest fire extinguisher can come and assist in putting off the fire. The other important thing is to handle the smoke and soot. The property walls are often affected by the soot and smoke that come from the fire. Before you clean up the soot and smoke accumulation of the walls, its good to inspect the extent at which the damage has gone. In case the wall is massively damaged, it is good to contact a professional restorer like Our Water, Fire, and Mold Restoration. Don’t risk your life by getting into a property that is not ready for entry. You may also cause further damage by trying to solve the problem on your own. Its better to leave some of the technical aspects of fire damage restoration to experts. The two main elements that are used to put off fire in any property are water and fire suppressants. Make sure you drain off all the water that was used to extinguish the fire from the building as soon as possible. Remember the presence of stagnant water can be a great habitat for the growth of mold and bacteria. This will cause more damage to your property and render it unsuitable for human habitation. Employ professional water removal services in the region to help in disposing off this water. You also have to evaluate the subfloors, materials, etc. in the property so as to determine whether they are safe for entry or not. You need to undertake a careful examination so as to determine the essentials and fixtures that you can salvage. You will discover that some of them are beyond repair. Our Water, Fire, and Mold Restoration can help you handle this stage quite well. The last but most important tip is to employ professionals. The fire damage restoration task requires a lot of professional follow-up so as to treat the affected property well. Our Water, Fire, and Mold Restoration will undertake a careful evaluation of the property. The restoration professionals will make a follow up to the final documentation of your property to determine whether it is safe for habitation or not. Any fire damage leaves home and property owners with a lot of stress. Remember you have an obligation to meet all the fire damage expenses unless you have insurance for your building. In addition to this, there are so many inconveniences that come from the fire damage. You will find yourself wasting a lot of time and money. It can be tough to undertake this restoration exercise on your own because of the intensity of the task. It is not advisable to go for personal restitution projects when dealing with fire damage. The idea of solving the problem on your own may seem to make a lot of economic sense, but you may end up exposing your property to more harm than good. No wonder you will find most homeowners preferring to go for professional fire damage experts to handle this problem. There is no need to worsen the current situation instead of improving it just because you are not sure of what you should do to rectify the situation. Let me share with you some of the benefits of hiring experts to handle fire damages before you go ahead to handle the task by yourself. Professional smoke and fire damage restorers carry several years of experience in the field. They have come across several forms of fire damage situations over time and this has given them a lot of knowledge on how to tackle each unique problem. As a homeowner, this could be the first form of fire damage that you could be experiencing. Therefore, you may not have the right knowledge to handle this situation. If you decide to handle this problem on your own, you will be required to learn the whole process, and this will take you a lot of time. Fire damage restoration initiatives are useful when you allow experts to handle them with immediate effect. Apart from having to meet the expenditure, you also have to deal with your insurance company. Some of these insurance companies tend to be quite stubborn. You will find them burying the victim with a lot of paperwork instead of offering the required assistance. Most people who have been affected will tell you that this is a very frustrating situation. On the other hand, smoke and fire damage experts will come with insurance professionals who will take this burden off your shoulders by handling the situation on your behalf. These experts will also work hand in hand to come up with an agreeable amount of claim to cover for the losses that you incur. Most insurance companies will try to underpay the homeowner, but the fire damage restoration experts will make sure that you get the rightful compensation. When it comes to restoration work, you need a specialized approach and equipment. These professionals work around the clock to correct the situation in the best way possible. Fire damage professionals have the right equipment for solving the problem. As a homeowner, you may not have the ability to own some of these tools in your home. Trying to handle the restoration work on your own may imply that you lose a lot of your valuable time. You may be unable to attend to your businesses or even get out of work. This exercise may lead to more headaches and financial constraints. Hiring Our Water, Fire, and Mold Restoration experts will give you enough time to continue with your daily living and working life. You will have the assurance and peace of mind that you long for from these professionals. Property and home owners who have gone through any form of damage on their property have gone through a lot of distress especially when it comes to meeting the expenses of fire damage. The cost of restoration can be very high especially if you don’t have an insurance for your property. You can decide to handle the restoration by yourself but this is not always the best option. As the property owner, make sure that you understand what is expected of you before trying to handle the fire damage restoration. It is not recommended to go for personal restitution fir restoration projects. The approach can be cost effective but using the wrong approach may cost you more in the long run. Hiring a reputable fire restoration firm like will guarantee you high-quality results. Fire restoration is a critical exercise as it involves the safety of your family members and households. Here are some of the tips that you can use in choosing a reputable fire restoration company. The first thing is to confirm whether your insurance has recommended any fire damage restoration service providers in your locality. A company like Our Water, Fire, and Mold Restoration works hand in hand with several insurance companies. However, be keen with some recommendations because some insurance firms prefer companies that charge the least cost and this may compromise the quality. Insurance companies have an obligation to honor any licensed fire restoration company. Therefore, no one will force you to stick to their recommendations. The next step is to pay close attention to the history of the fire restoration companies before you hire any of them. Go through their websites and ask around about the reputation of the company. A brand like Our Water, Fire, and Mold Restoration has a trusted name and you will find everyone speaking about it in the society. Avoid the fire restoration companies that are a one man team as you may not get high-quality work from them. Such companies may lure you with cheap prices and compromise on the quality of work. The other restoration providers that you need to avoid are those who don’t provide their services on a 24/7 basis. The best ones have a highly responsive team that provide prompt responses even in the middle of the night. Always remember to request for a free quotation from the shortlisted companies. The best reputable fire restoration brands are always willing to give you free estimates. This will assist you to gauge the strength and weaknesses of their human resources, equipment, and general levels of customer service before you make your decision. An excellent restoration company should have a knowledgeable team that are equipped with the right restoration equipment. The fire damage restoration company that you choose should also give you a solid support when it comes to processing the insurance claim. The company should be able to handle everything from the submission of your claim’s paperwork to undertaking liaisons with the adjuster of the insurance company. The restoration company should make sure that you have a hassle free compensation from your insurance service provider.